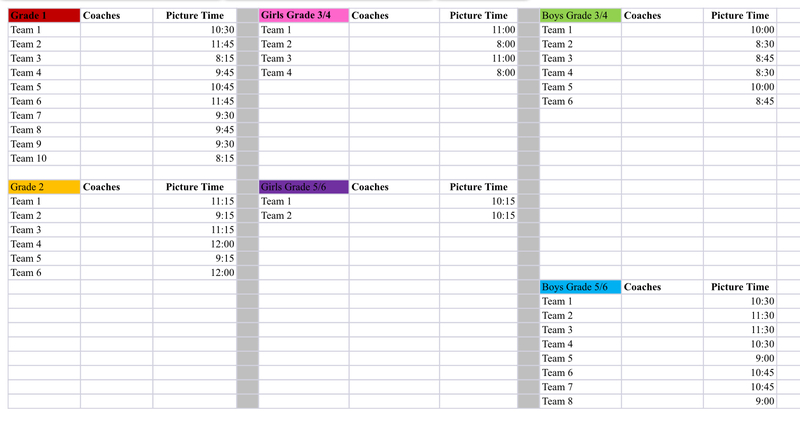 Pictures are on Saturday, January 13 according to the following schedule. The schedules are also populated on each team's schedule. If you see an error with your team, please let us know. 1. Please print the picture order form, complete, and bring to the session. 2. Please bring your child to the session even if you are not ordering individual pictures so that we can still get a full team picture. 3. Please arrive 15 minutes early. Click here for the 2018 picture form. You can type into the form and print out without having to write anything!